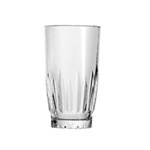 Anchor Hocking Footed Hurricane Glass 15 oz. Tartan Iced Tea Glass - 16 Oz. Heavy Base Rocks Glass - 9 Oz. 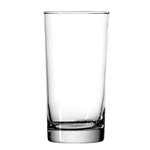 Alpha Rocks Rim Tempered Glass - 10 Oz. 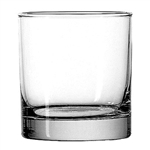 Solace Juice Rim Tempered Glass - 5 oz. Solace Water Glass - 10 Oz. 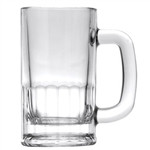 Indiana Glass Classic Beer Mug - 14 Oz. 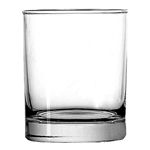 Reality Tumbler - 14 Oz. 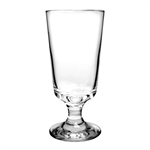 Weiss Goblet Large - 32 Oz. Restaurants go though tons of Anchor Hocking glassware over time through breakage and chipping and wearing out. 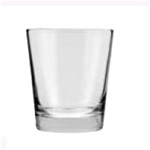 We are the leader in restaurant supply for anchor hocking glassware. We carry beer mugs, beer tankards, pilsner glasses, shot glasses, whiskey glasses, bar glasses and more for your restaurant and bar. Over half the restaurants in America serve beer into Anchor Hocking beer mugs. Founded in 1905, Anchor Hocking is a leading marketer and manufacturer of a comprehensive line of glass products including beverageware, candle containers, servingware, ovenware, storageware, lighting components and other glass products sold under various brand names or as customized solutions for private label lines. Anchor Hocking is the second largest supplier of glassware in the United States. Its glassware products cross all price points through the retail, specialty (business-to-business), and hospitality channels. Anchor Hocking is a leading designer, marketer and manufacturer of quality consumer products that it sells to retail and hospitality customers.